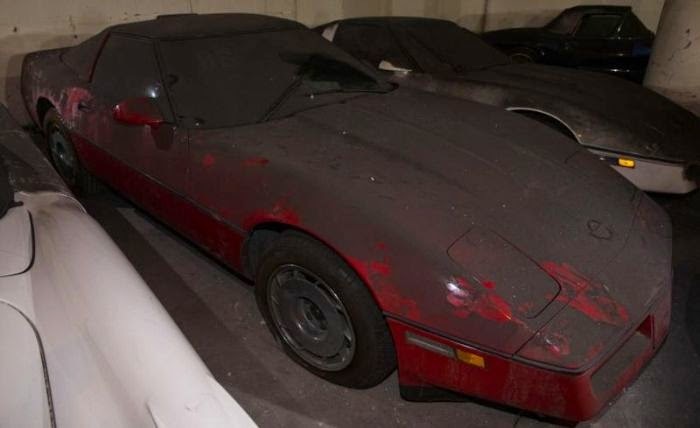 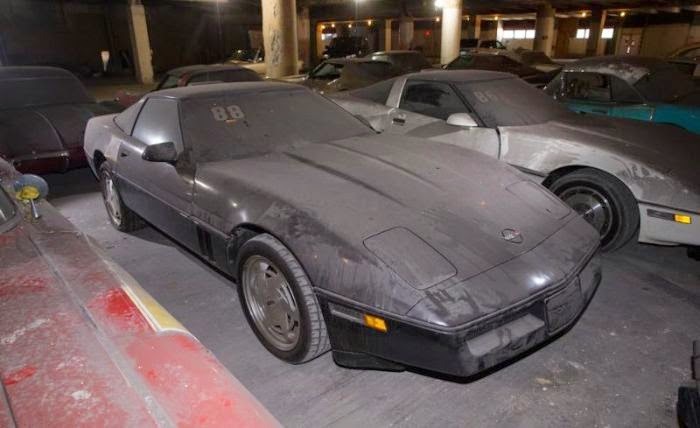 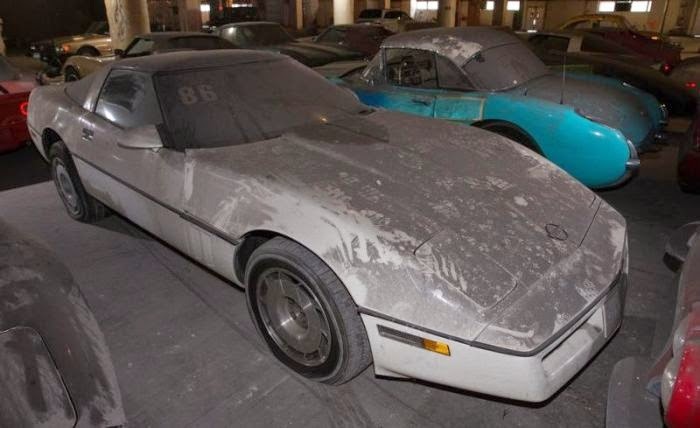 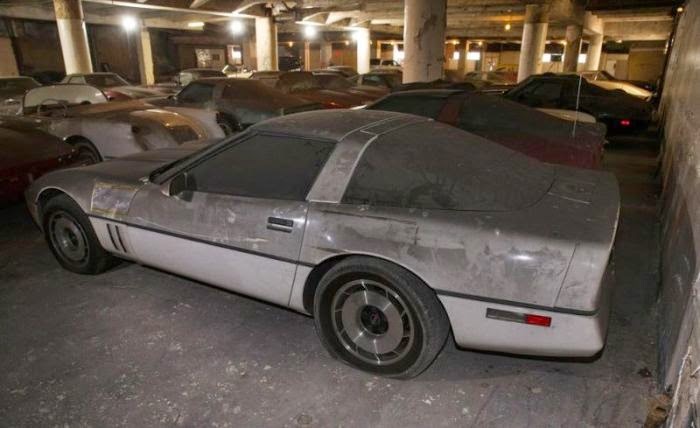 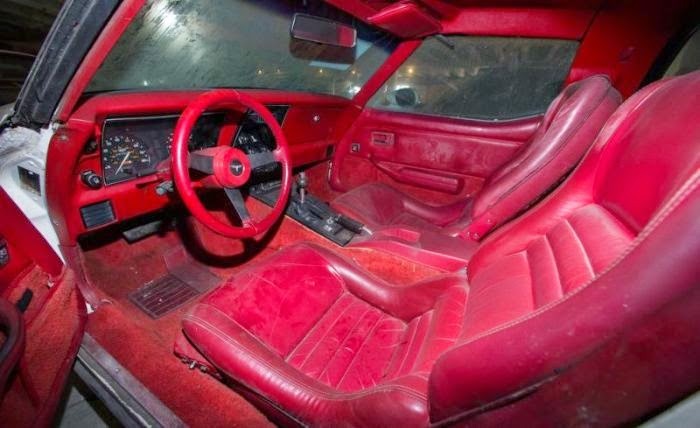 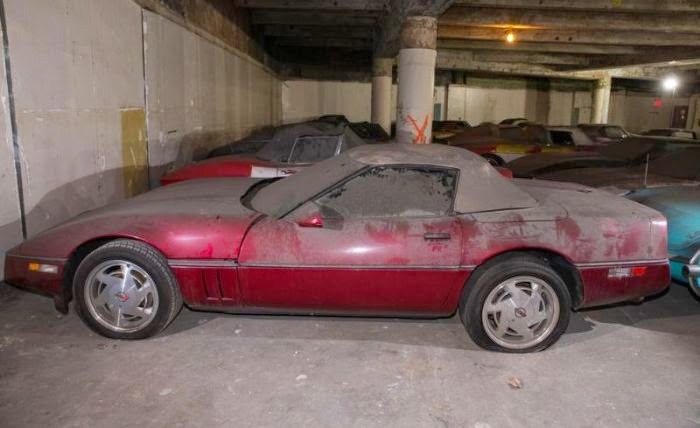 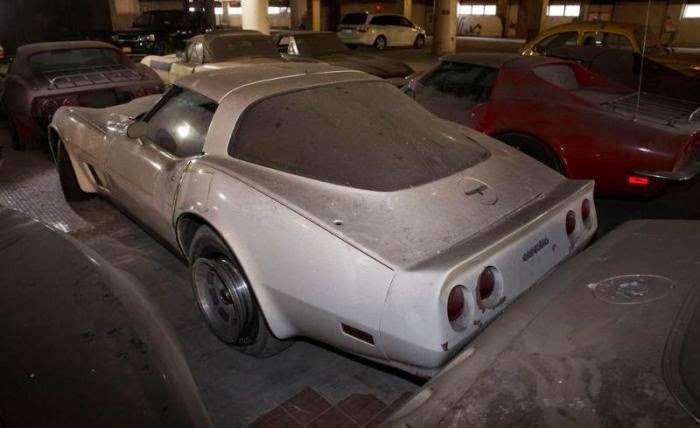 In 1988, the music channel VH1 has arranged an unusual marathon, the winner of which would receive the grand prize - 36 cars Chevrolet Corvette. 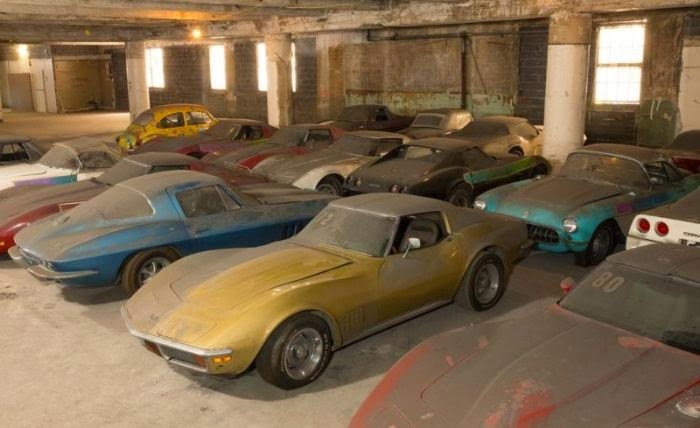 Full line at the moment - all models from 1953 to 1989 (model 1983 was missed, because in his time was taken out of production). To participate in the marathon had to make a call to the studio, which costs $ 2. 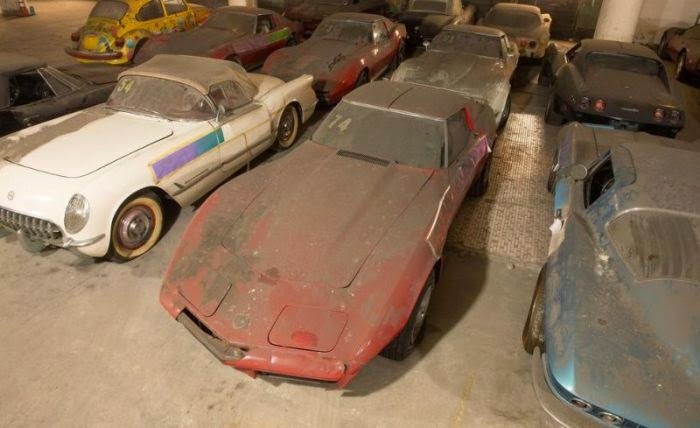 Participation took about one million Americans. 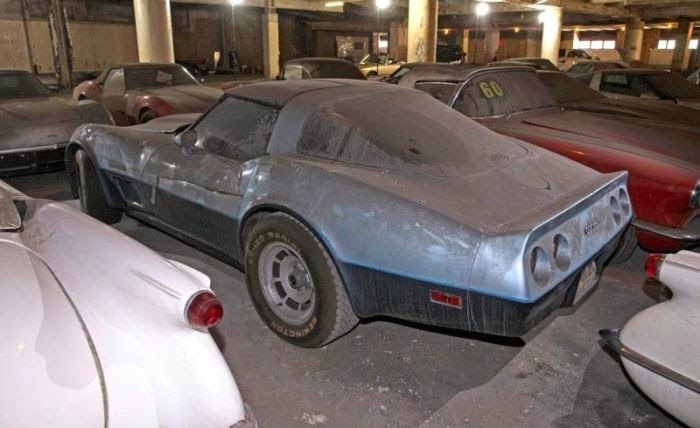 The winner was Dennis Amodeo - carpenter from Long Island. 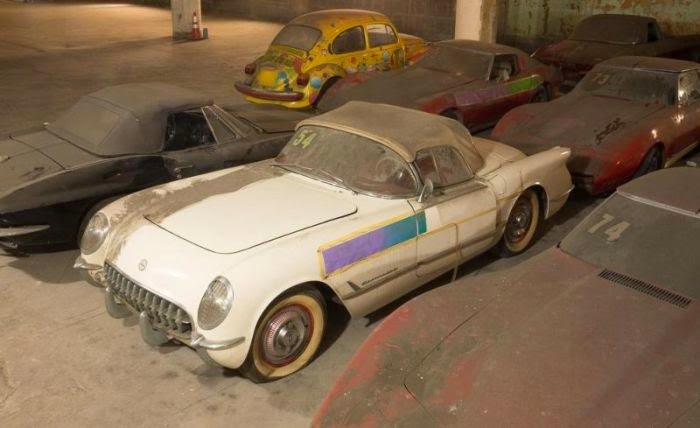 But instead of the prize he received a very satisfactory compensation, because the collection of Peter Max bought - a contemporary American artist psihodelist. 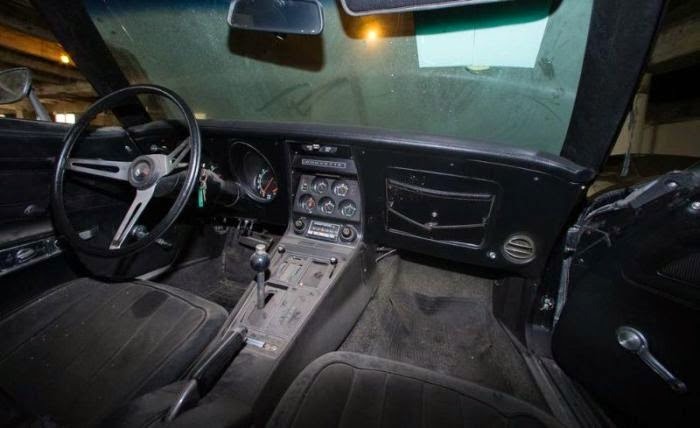 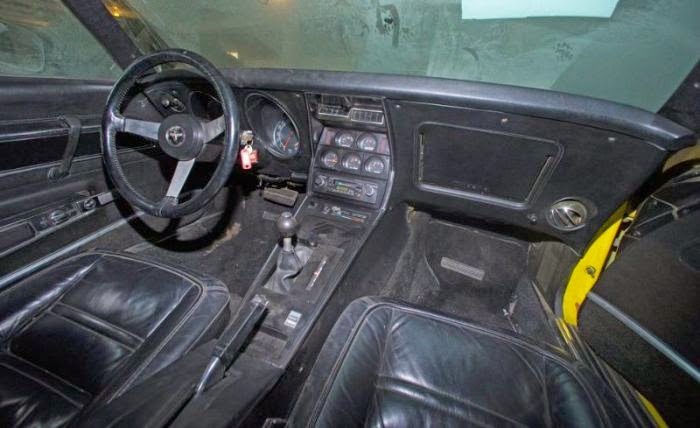 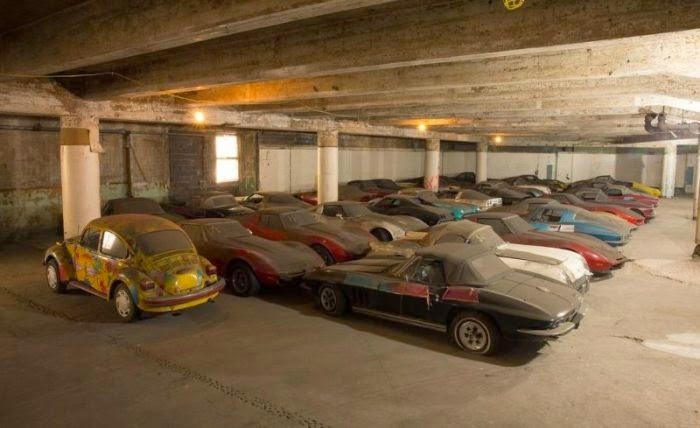 He planned to use a collection of machines in some art project, but something is not made, and cars stood in disparate garages for more than 25 years. 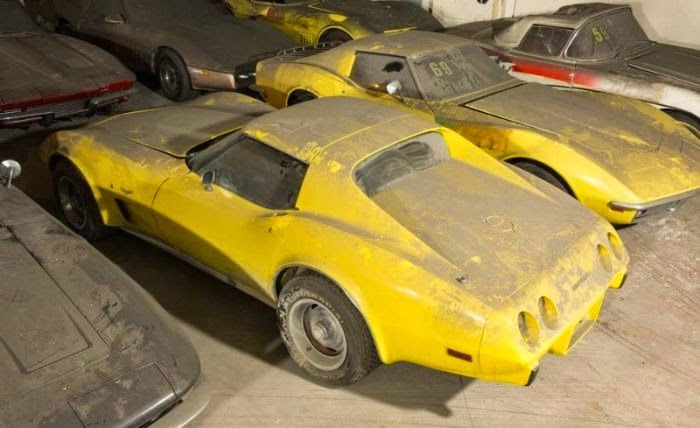 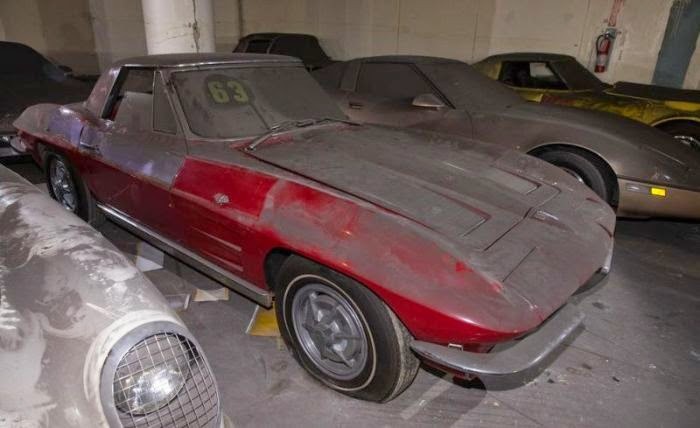 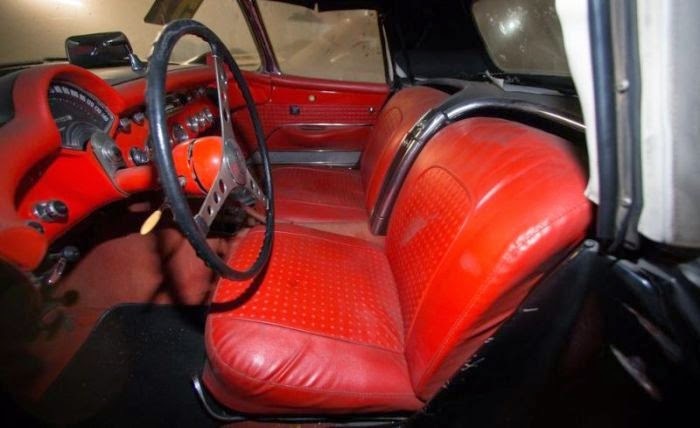 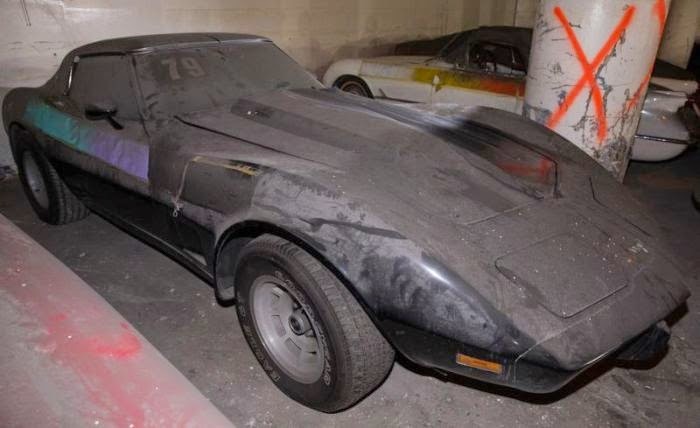 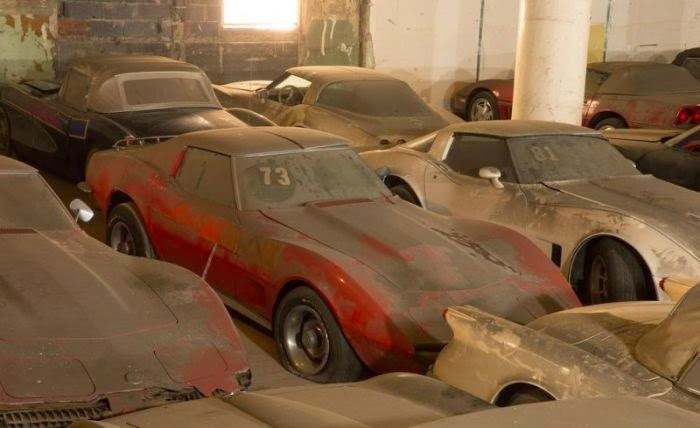 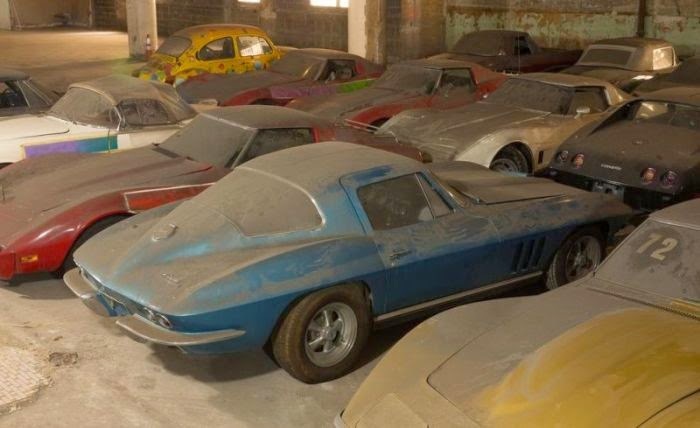 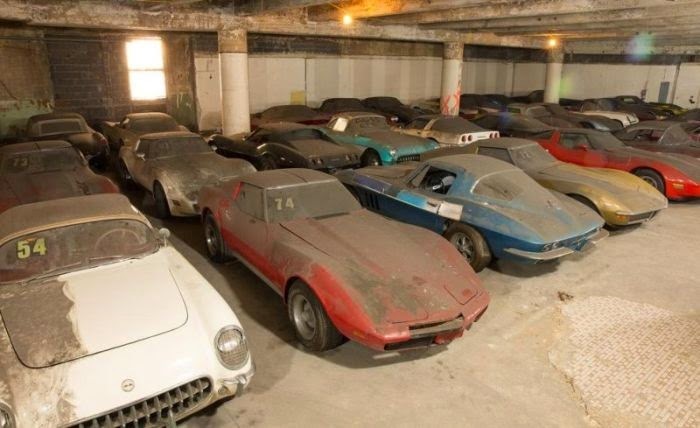 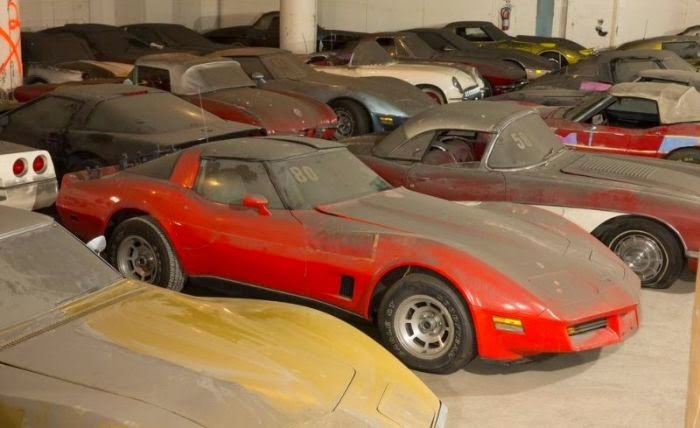 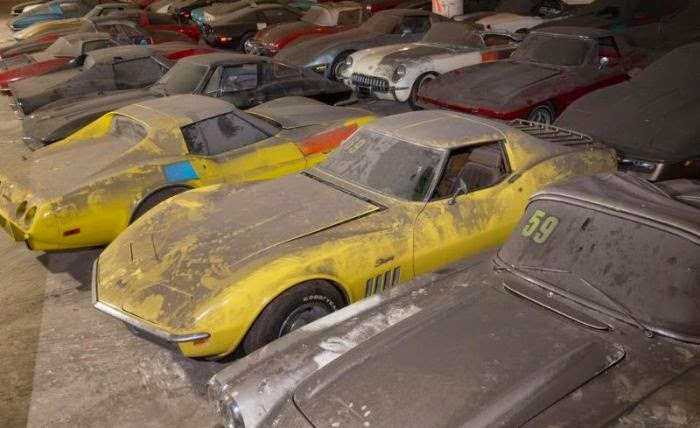 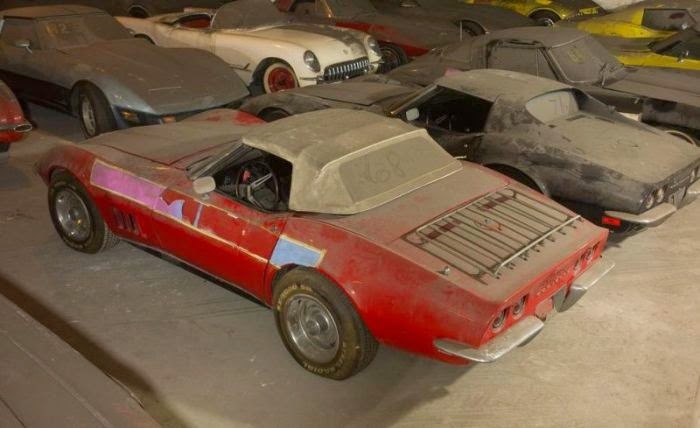 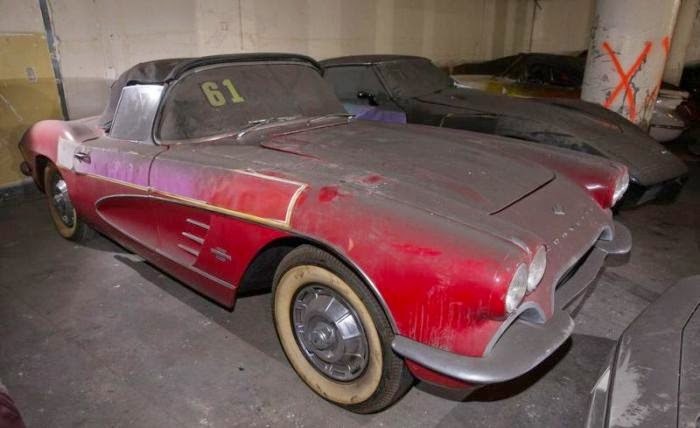 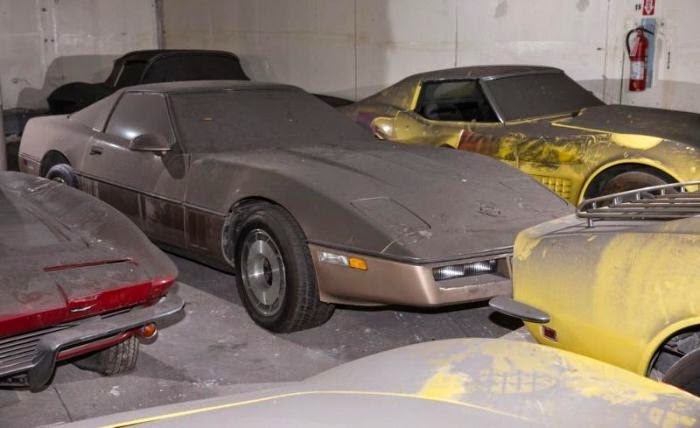 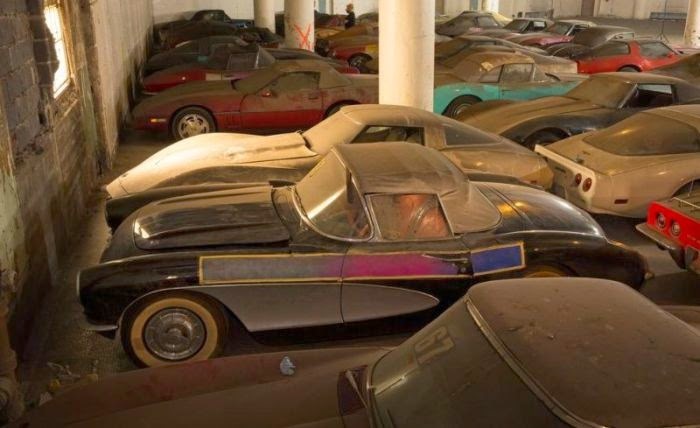 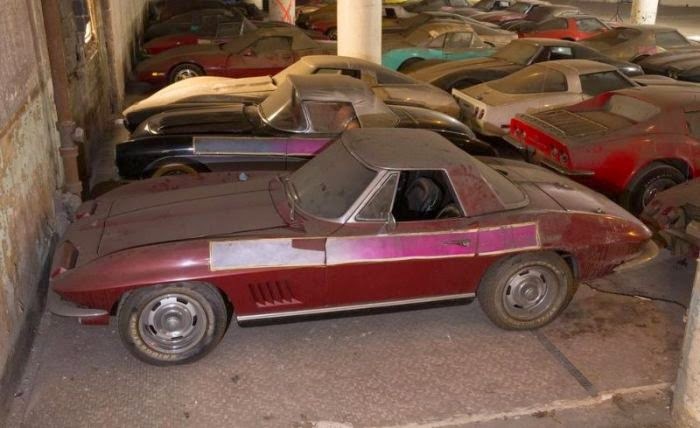 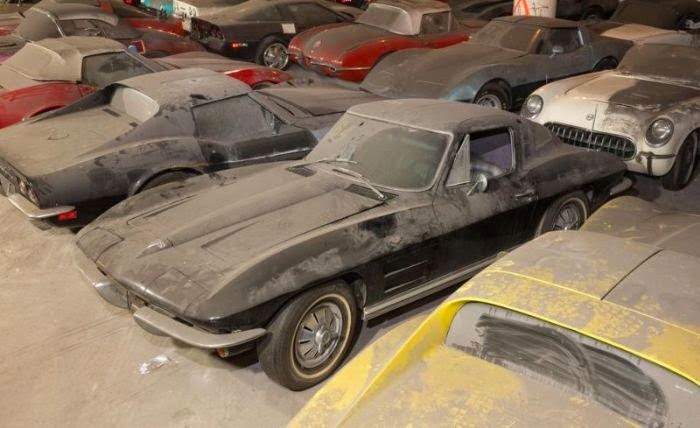 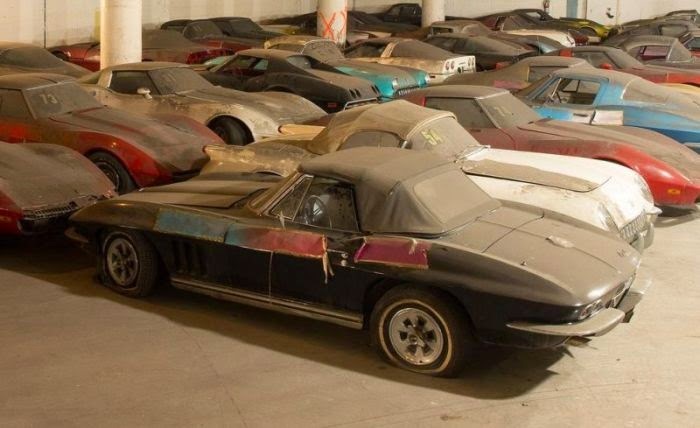 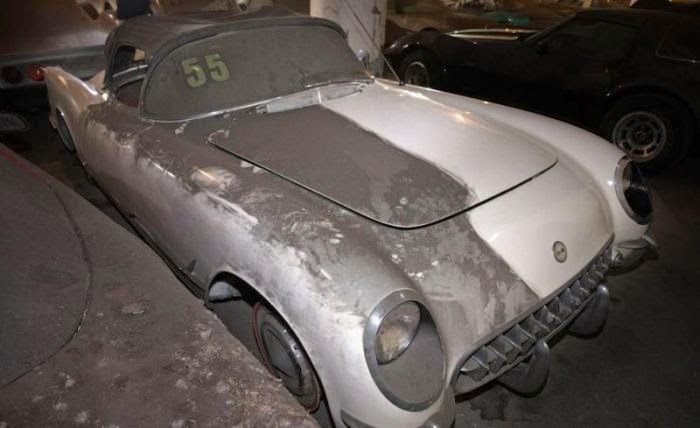 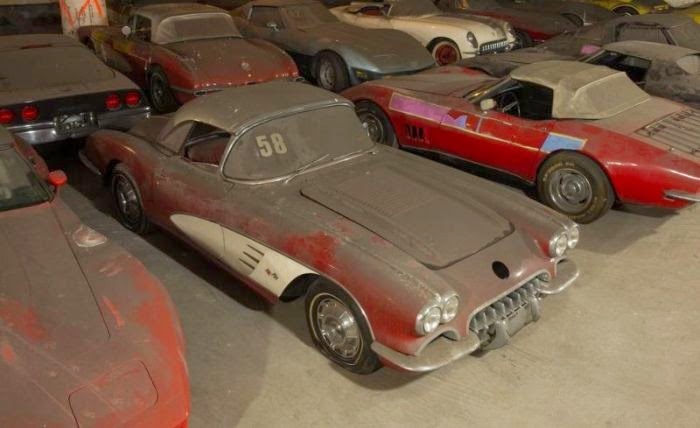 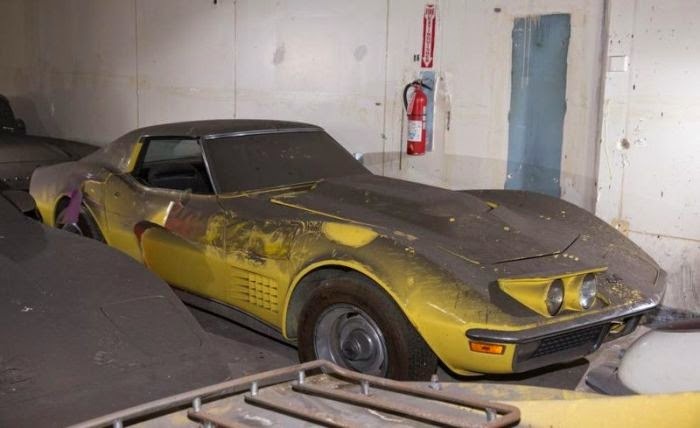 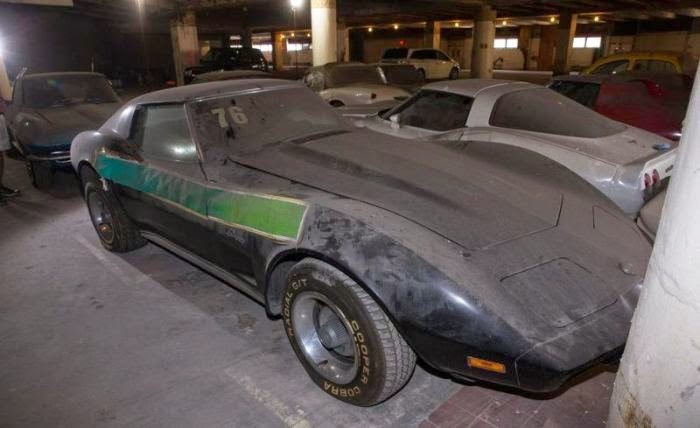 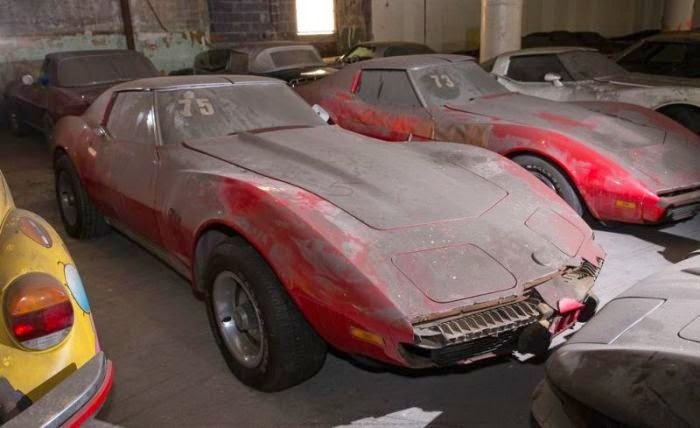 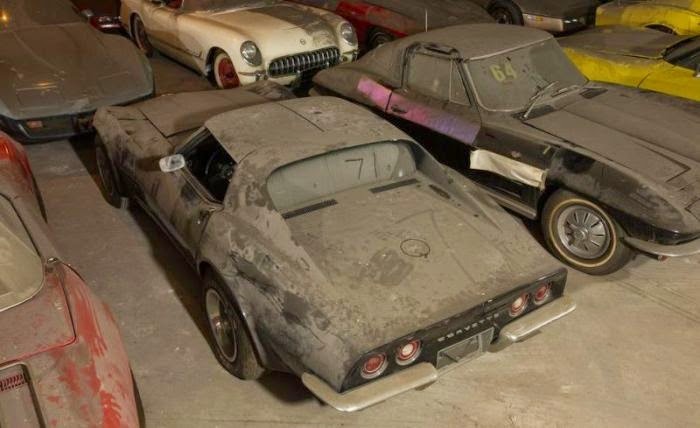 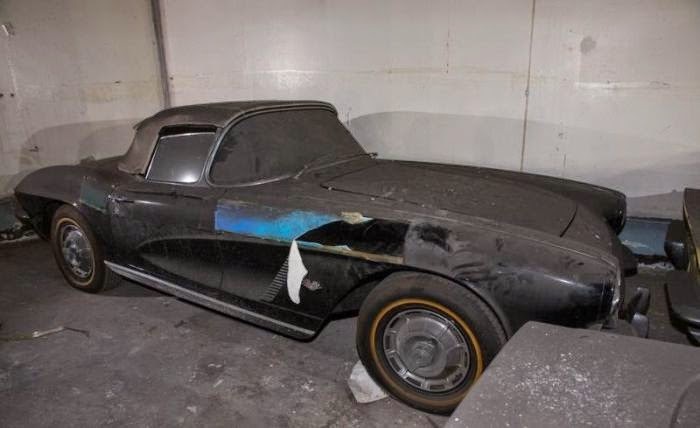 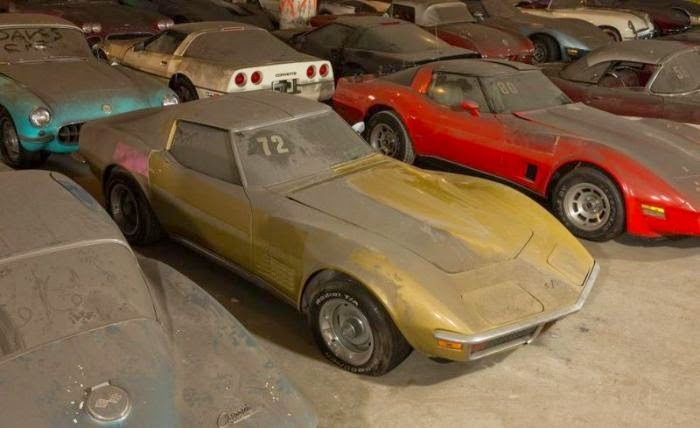 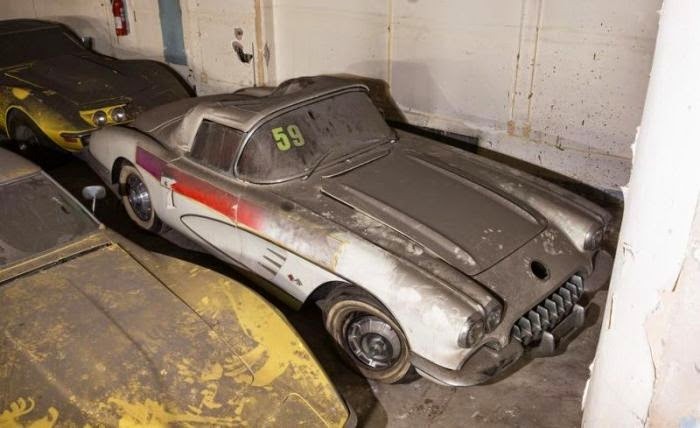 Finally, the two families - Heller and Spinler - persuaded the artist to sell his entire collection and is now in full swing refurbish cars, with the participation of specialists from Chevrolet. 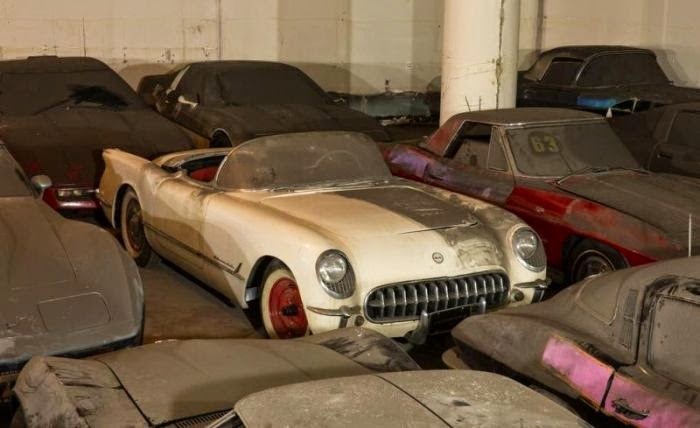 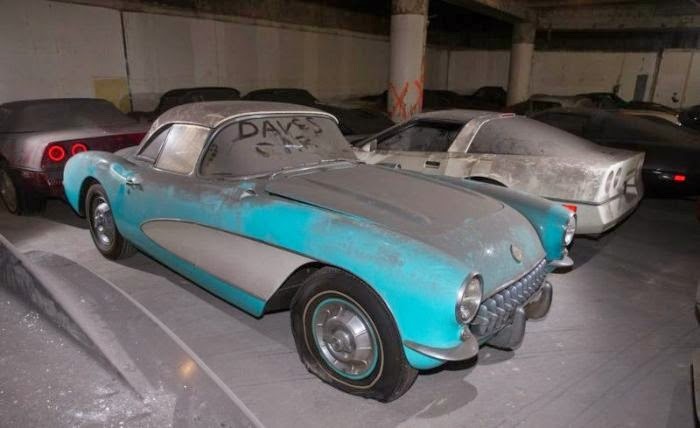 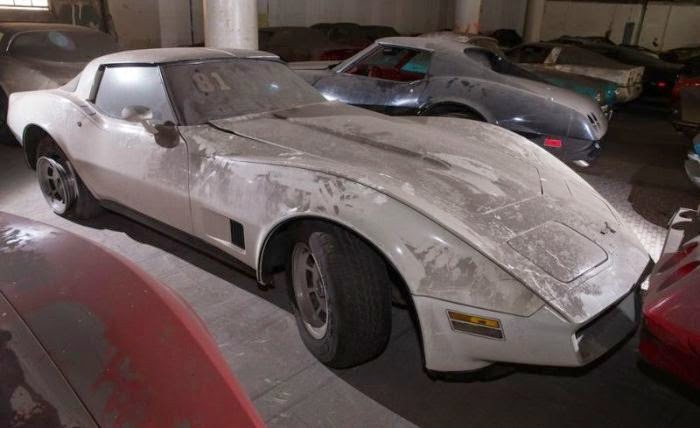 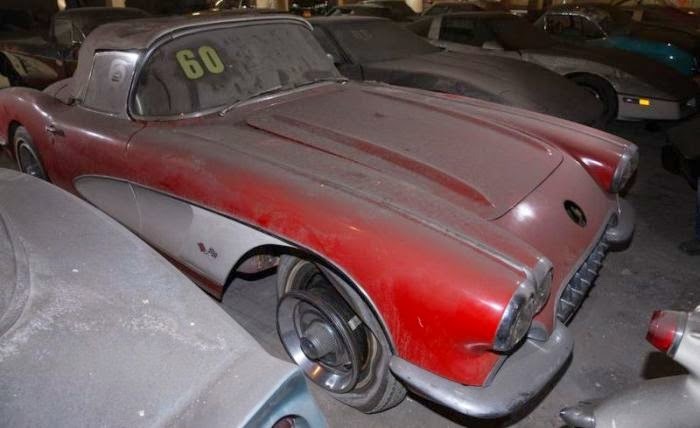 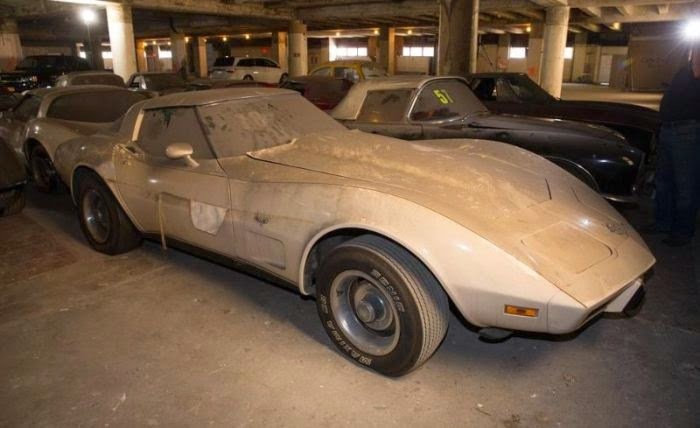 Restored cars planned to sell later.